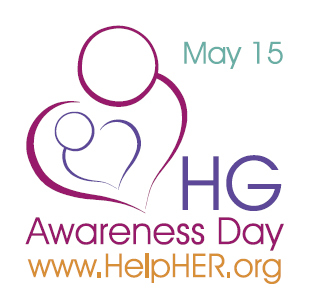 Mother’s Day has passed and today is HG Awareness Day. Almost a year and a half has passed since I suffered from hyperemesis gravidarum for the second time. HG is a rare, debilitating pregnancy disorder which occurs in about 1-2% of pregnant women. It is a disorder which is commonly misunderstood and routinely minimized by the public as well as by the medical community. Often times family members and friends are clueless as to the severity of the disorder which complicates matters and the HG sufferer suffers alone and in isolation. HG is characterized by severe and excessive nausea and vomiting which can lead to dehydration (and subsequent visits to the ER for IV treatment), weight loss due to the excessive vomiting and inability to hold down food or water, hyper olfaction (extremely strong sense of smell), fatigue, lightheadedness, and overall inability to function due to the severity of nausea. HG causes disruption in day to day activities – inability to care for oneself, inability to work, inability to care for children, inability to shower, etc, etc! Many HG sufferers are forced to stay on bed rest simply to avoid movement which makes the nausea worse. HG symptoms are the absolute worst the first trimester. Some women find relief after the first trimester but many HG sufferers still battle severe nausea/vomiting to the very end of their pregnancy. Severe cases require in-home IV treatment or a PICC line for continuous IV fluids to make sure the HG sufferer is hydrated. Heavy doses of anti-emetics (anti-nausea med’s) are given – Zofran, Phenergan and Compazine. The most severe case would require a feeding tube so that the woman is not completely malnourished. Fortunately most HG pregnancies end with successful full term births! However, I have heard of cases in which the pregnancy was terminated by the doctor due to the severity of the disorder in order to preserve the mom’s life. Nausea seems like such a harmless thing at first glance but imagine being so nauseous that you cannot stand the smell of your own, dear husband. Walking around or trying to take a shower becomes an insurmountable task because you end up puking due to the motion. I have described HG as a 9 month bout of severe food poisoning or stomach flu. The most challenging part about HG is not the physical suffering (as difficult as that is!) but the emotional toll it takes on the sufferer. Many women with HG suffer from depression due to the chronic medical issues day in and day out. Many women contemplate abortion as well as suicide due to the immense burden that excessive nausea/vomiting and dehydration take on the body and subsequently on the mind and soul. My journey with HG started with my first pregnancy in November 2011. We didn’t even have a chance to rejoice in our first pregnancy because of how fast HG ravaged my body. I had no clue that this nightmare would hit me. But I found out very quickly that my pregnancy was not going to be normal when I threw up everything I tried to eat very early on in my first trimester. My mom kept insisting that I try to eat for the baby’s sake but I would get extremely frustrated knowing that it didn’t matter what I ate, my body was simply rejecting it! I remember telling my OB about my excessive nausea/vomiting and she brushed it off, saying that it was just normal morning sickness and that I should feel much better soon. She, unfortunately, was very, very wrong. It got to the point that I was starving, not eating anything, but still vomiting! I was vomiting water and bile. I was on bed rest and the nausea was very relentless and there 24/7. My only relief from the nausea was to sleep. I remember very distinctly on Christmas day of 2011 just vomiting all day (maybe 10 times). I felt very out of it. I stepped onto our scale and was shocked to see that I had lost 15 pounds! My gut told me that something was very, very wrong. This could not be normal morning sickness. We went to the ER that day and I was immediately admitted to the hospital and diagnosed with hyperemesis gravidarum. The doctor ordered a PICC line (a long term IV line) for me and set up in-home IV treatment. I received in-home IV treatment for one whole month before I was able to start eating normally. During this time, Danny faithfully took care of me and even administered the anti-nausea medications through the PICC line for me daily. 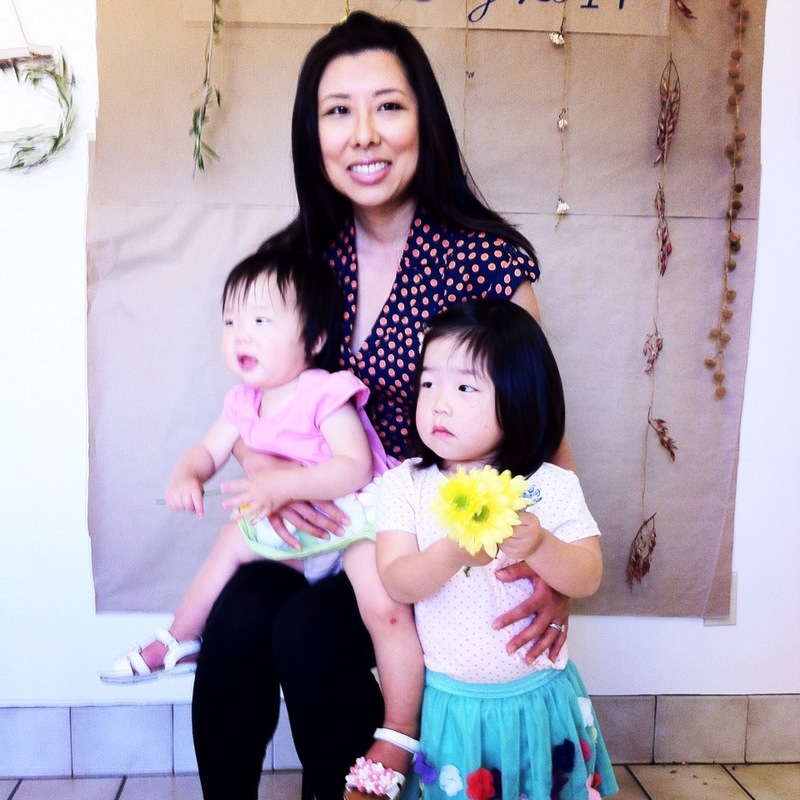 After my first trimester, I felt much better and was able to go back to work. I still had mild-grade nausea and had nausea till the day I delivered. 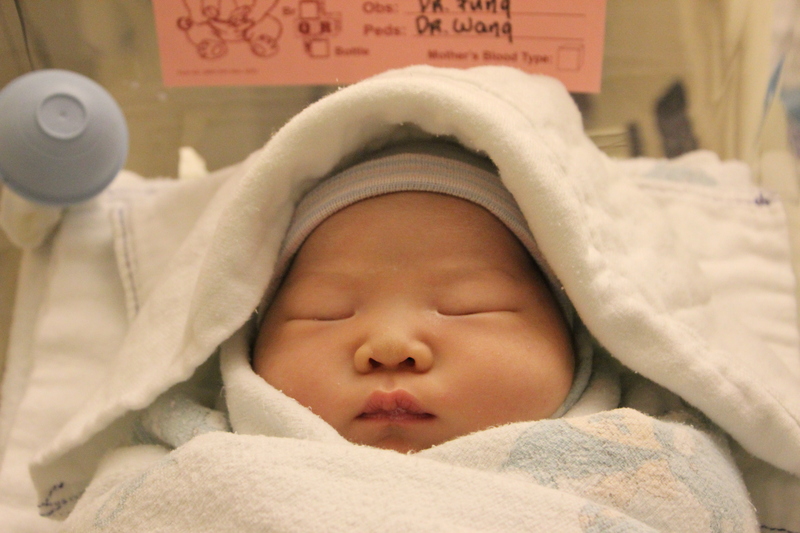 Annelise was 8 pounds, 5 ounces – a healthy and big girl! My second battle with HG was much, much harder than the first. I remember finding out I was pregnant and feeling angry that it happened so soon (Annelise was not even a year old)! I was not ready to face hyperemesis again. I hoped and prayed that my second time would be easier. But those prayers were not answered and my second HG pregnancy was an even darker nightmare than the first. My symptoms were worse and lasted the whole pregnancy. I lost a total of 20 pounds with my second pregnancy. Again, the doctor ordered home health care and I received in-home IV treatment for two, long months. I hoped that by the end of the first trimester, I would feel much better. But no relief came and I continued to vomit through my second and even my third trimester. There were occasional good days where I felt good enough to go out and eat. But those were really rare. Most days were spent at home, in bed, watching television around the clock just to keep my mind distracted from the nausea. I had insomnia at night due to the nausea and would stay up till 3 am. I was unable to take care of Annelise so I stayed with my parents for several months so that they could take care of me and Annelise. I was unable to shower regularly during my first trimester so my mom would wash my hair for me once a week. My hair would get so tangled; I felt utterly inhuman, like an animal, like a zombie. I battled depression with my first pregnancy but the depression with my 2nd pregnancy was worse due to the longer lasting symptoms and my frustrations that I wasn’t feeling better. Every day, I wanted to die just to escape the merciless nausea. Every day, I asked my husband to shoot me, to end my misery. Every day, I felt the temptation to abort the pregnancy just to feel normal again. The spiritual battle was enormous and I am so thankful for God’s grace, the unconditional love of my husband and parents, and many friends’ prayers – for protecting me not only physically but spiritually. Even after giving birth to a very healthy and even bigger baby (Katelynn was a whopping 9 pound, 5 ounces! ), I had mild-grade nausea that lasted a month! I was petrified that this nausea would never leave me, but it did. And I’m grateful to have survived this ordeal. I’m thankful for my two, lovely girls – my reward and my gift after the suffering. If there is anything I’ve learned from all of this – it is this – that God is good all the time. This is the lesson that Job and Joseph learned. This is the lesson God forced me to learn. There is glory and a purpose to our suffering because it molds us into Christlikeness. Suffering from HG has taught me to appreciate life and health. It has brought me a greater compassion and empathy for those suffering from chronic medical illnesses. I am reminded of these verses from the book of Job which ministered to me during the long, dark nights I battled insomnia and nausea. 12 “All right,” the Lord said to Satan, “everything he has is in your power, but you must not hurt Job himself.” So Satan left. At the end of all of this, I still have my faith in Christ and that was the great test that Satan requested and that God allowed in Job’s life. I hope that you have a better understanding of how debilitating hyperemesis is. If you have the means, please consider making a donation to the HER Foundation at helpher.org. We need to raise awareness as well as funds to research this disorder in order to find the cause and cure! I hope my story inspires you to fight whatever battle you’re going through and to come out stronger at the end of it! 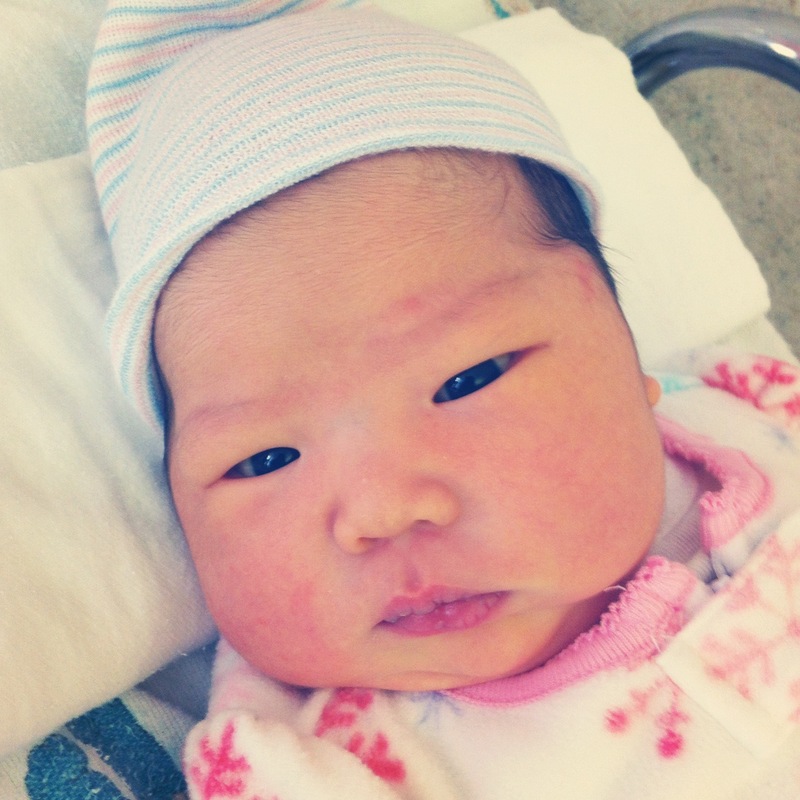 Our much anticipated baby Katelynn arrived on January 8th, 2013 at 1:06 a.m.! She was 9 pounds 4 ounces at birth! My labor/delivery was quite difficult. We got to the hospital at 8 am on January 7th for a scheduled induction due to polyhydroamnios (high amniotic fluid level). I was induced at 9 am and hoped that my water would break naturally. When it didn’t, the doctor broke my water for me at 3:30 pm. I asked for the epidural when the contractions started to get painful. I didn’t realize that Cedars Sinai is a teaching hospital. The anesthesiologist was a resident and was given step by step instructions by the teaching doctor. It made me quite nervous to hear that! Unfortunately, the dose that they gave me was too high so my blood pressure dropped significantly. I got really dizzy and lightheaded and threw up (of course!). They gave me medicine to bring my blood pressure back up but my blood pressure kept dropping so the anesthesiologist decided to shut off the epidural completely. Then I started to really feel the pain! So I asked for another dose of the epidural. But the second anesthesiologist was busy and by the time he got to me, I was so much pain! Finally when the epidural kicked in, I was completely numb which made pushing quite a challenge. My OB thought I would deliver by midnight. But I was not fully dilated till well past midnight. I pushed for about 30 minutes (and of course threw up a couple times while pushing!) and Katelynn was born at 1:06 a.m.! She looks just like Annelise when she was born! Because my 20 week ultrasound showed a couple soft markers for Down’s syndrome, the PEDS team (a group of resident doctors) came to evaluate Katelynn at birth. They told me that Katelynn does not meet all 5 criteria for Down’s but that she has a few signs. It was disconcerting. We sent out an email to our friends asking for their prayers. The next day, the hospital pediatrician came to examine Kate and she said that she does not believe Kate has Down’s! Apparently the PEDS team was being super thorough and cautious. We were so relieved and thankful. Kate is truly a testament to God’s faithfulness – that despite all the weight I lost, He protected her! I’m so amazed at how healthy and big she is! So far, Kate has been so calm and such a good sleeper. I feel very blessed. I was very disappointed when my nausea didn’t immediately disappear after the delivery but I am doing so much better now. My nausea has reduced to a minimal level. My appetite is back (thanks to nursing) and I have been eating well! I am finally starting to feel normal again. Even though I’m sleep-deprived, it’s amazing how much energy I have now that the nausea has significantly reduced. To all my fellow HG mamas out there, please don’t give up and hang in there. It’s such a long, difficult road to be on but the reward is so worth it! When I look into Kate’s precious face, I fall in love over and over again. I feel like I’m being dragged through a war. A war waged against my body, my spirit, my very own soul. This is the story of my 2nd HG pregnancy. This is Katelynn’s story. A story of (literally) blood, sweat, and tears…as well as months of vomiting…and ruthless nausea which gratingly lingers today, even as I write this post. Imagine having the stomach flu or food poisoning…the constant wave of nausea is overbearing and you’re unable to eat anything because you are puking around the clock. The only thing you want to do is sleep so that you can escape the miserable feeling of queasiness in your stomach. It’s hard for you to smell anything because it triggers more waves of nausea. It’s tough to do much of anything except lie in bed and count the minutes that go by so slowly. The good news about the stomach flu or food poisoning is that the symptoms usually resolve within a week or so. And the good news with the stomach flu or food poisoning is that you usually feel better after you throw up. But what if you just kept vomiting and the nausea never got better? And imagine if the nausea and vomiting continued for let’s say another week…and the week after that. What about if the symptoms lasted for a month, two months, four months, eight months?! At what point would you go insane or contemplate killing yourself to escape that dreadful, looming feeling of nausea? Welcome to my absolute worst nightmare. I had hyperemesis with my first pregnancy so I was very much acquainted with this nightmare. You would think that such familiarity would make it easier the second time around…but I have to say it was actually much harder this time. Maybe because my hopes, that my second pregnancy would be easier, were viciously shattered. Or maybe because I faced unmet expectations that my symptoms would disappear by the end of the first trimester as it did with my first pregnancy. And this time around, we had Annelise to worry about too. We had just moved to Los Angeles from San Diego this past April. I was looking forward to settling down and organizing our new condo. We had barely started unpacking our things when I got nauseous one day in May. I didn’t think too much about it. I have always had chronic stomach problems so it wasn’t too unusual for me to get nauseous from time to time. But when the nausea persisted and lasted for days…I began to wonder. Uh-oh…am I pregnant? I had a feeling that I was. The HG nausea was all too eerily familiar. I took a pregnancy test and sure enough, it read positive. Honestly, my initial reaction was one of anger and shock. How could I be pregnant again? And this soon? Annelise wasn’t even a year old! I was not ready to fight the HG monster again. I was still reeling from the trauma with my first pregnancy. I set up my first doctor’s appointment and realized that even before I could see my OB, the HG would take me by full force once again. The nausea got worse every day and then the daily, non-stop vomiting started. I couldn’t eat anything because I couldn’t keep anything down. I called the doctor’s office and requested to see someone sooner than two weeks because of my history with hyperemesis. The receptionist said the physician assistant would be able to see me in a week. So I decided to meet with the PA. But in the meantime, I was worried because I was rapidly losing weight, constantly vomiting and the nausea was overwhelming. I called my OB and complained about my symptoms and my worries about ending up in the ER like my first pregnancy. She said she could prescribe oral Zofran for the nausea but I explained to her that the oral Zofran had not worked for me with my first pregnancy. So the doctor prescribed another anti-emetic called Compazine. Taking the Compazine turned out to be a very, very bad idea. I tried the Compazine a couple times and found no relief from the nausea. Then one day after I took the Compazine, I felt a very strange sensation on my eyelids. It felt like my eyelids were involuntarily twitching. I didn’t think too much of it at first but when it continued, I started to feel very nervous. Then my neck started to spasm and I couldn’t control the muscles. I started to panic! I was having severe muscle spasms on my face and neck. I started sobbing uncontrollably because not only was I battling nausea, I was apparently having a negative reaction to the Compazine. I yelled at Danny, “We have to go to the ER! Something is very wrong!” So Danny drove me quickly to the ER. It was the freakiest car ride of my life. I couldn’t lean back on the seat because my head kept moving back – I must have looked like the Hunchback of Notre Dame. I remember staring at the ceiling of the car and trying really hard to force my head back down to its normal place. It was maddening to not be able to control my own face and neck! I was seen right away at the ER thankfully. I was put in a wheelchair and wheeled to a bed. The ER doctor told me that I must have had a dystonic reaction to the Compazine. He gave me Benadryl via IV to relax my muscles. It worked! He explained how Compazine was a Class C drug and that in rare cases, people can have this negative reaction to the drug. Of course, I have to be one of the atypical cases with this reaction to Compazine. And of course, I am one of those scarce cases who have to battle hyperemesis. I wanted to laugh…here I was at the ER with my 2nd HG pregnancy when I had been so determined not end up in the ER this time. After that horrific experience, I realized that I need to be careful about what medications I take. I was upset with my OB for not clarifying with me that Compazine was a class C drug. I stopped taking the Compazine and the vomiting/nausea continued to get worse. The constant nausea was galling and the perpetual retching with no relief from the nausea was a nightmare. I was either in bed or hanging out at the toilet. Everything smelled putrid and food became a curse and a chore. Nothing stayed down, everything came out. When I saw the PA a week later, I found out that I was 8 weeks along. I brought up my concerns about HG and how I had ended up in the ER with my first pregnancy due to dehydration from excessive vomiting. The PA remarked about how miserable I looked and that it was obvious to her how bad the nausea was. The PA said she would set me up with home health care (continuous IV treatment) so that I wouldn’t have to go to the ER or stay in the hospital. I had home health care with my first pregnancy so this sounded like a good plan. At this time, Danny and I decided that it would be better for me to stay at my parents’ house since I was incapable of taking care of our daughter. My parents agreed to help take care of Annelise. I have no idea what we would have done without my parents’ help. The home health nurse came a week later and set me up with a Zofran pump. This was something new to me. With my first pregnancy, I had a PICC line which is a long-term IV line. The Zofran pump is less invasive than a regular IV line. It is a subcutaneous IV which slowly administers the medication 24/7. You have to prick yourself in the stomach or thigh (any fatty area on your body) and the Zofran is administered slowly via the pump. It didn’t hurt as much as an IV needle. Danny would prick me in the belly and changed the site daily. You had to change the pump site because after one day, the area on your belly would get swollen and tender. I kept calling the home health care agency to ask them to raise the dosage for the Zofran because I was not feeling any relief from the nausea/vomiting. After a week of trying the Zofran pump, I called the PA and told her that the Zofran pump was not working. She became frustrated with me and told me that there was nothing she could do and that the first trimester of HG was the worst time for nausea. I insisted that something needed to be done and that I wasn’t getting IV fluids. The PA seemed surprised that the home health care agency had not set me up with IV treatment already. So she said she would call Alere and recommend IV treatment for me. It was absolutely infuriating that the PA was getting frustrated with me – it wasn’t my fault that the med’s weren’t working! So my home health nurse came out again and set up the IV line for me. She explained that I would need to call her whenever the IV site became sore so that she could come out and change it for me. I called the nurse once a week to change the IV site for me. After weeks and weeks of IV pricks, my veins became destroyed. It got harder and harder for the nurse to find a good vein. Sometimes, she would prick me four times to get the IV in. Pricking someone who is starving and very nauseous is really not a good idea. The sight of blood running down my arm triggered horrible nausea so I threw up a couple times during the IV site changes. I was on IV treatment for two, very long months. Every day I would vomit several times a day and I would also dry-heave. The nausea was ever-present but for some reason, it would get worse at night. Since I wasn’t eating much of anything, I would just throw up bile and saliva. Sometimes, my throat would burn from all the stomach acid coming up. The toilet and my throw-up bucket were my constant companions. I had to have the throw-up bucket by my side 24/7 because I never knew when I would throw up and the vomiting was so unpredictable that there were many times I did not make it to the bathroom in time. I lost 15 pounds due to HG. I battled insomnia every night. I couldn’t sleep till 3 or 4 am because the nausea was so potent. While I was on IV treatment, I was so weak and nauseous that I couldn’t even muster enough energy to take a shower. So my mom faithfully washed my hair for me once a week. During this time, any and all smells would set off the nausea. I couldn’t even have Danny sit close to me because of his body odor (not that he smelled bad but any smell would trigger the nausea!). Any type of motion/movement would also cause me to throw up. Car rides were impossible. Sometimes even talking would make the nausea worse so I stayed in bed or tried to sit still for most of the day. Sipping even water was the biggest task due to the nausea. Thank goodness for the IV fluids which kept me hydrated. I thought for sure that by the end of my first trimester, I would start to feel better since that was what happened with my first pregnancy. But the nausea/vomiting persisted well past the first trimester, and into the second trimester. HG took its toll on me physically as well as emotionally. I had many meltdowns during this time. In addition to feeling very depressed and frustrated, I battled a lot of guilt about not being able to do anything and having multiple identities stolen from me. I was no longer capable as a mother to Annelise. I was no longer a wife who could do anything for her husband. I was no longer a daughter who could take care of my parents. I was no longer a friend who could be by your side. This proved be the darkest period of my pregnancy. My relationship with my daughter was nonexistent. My relationship with my husband was tenuous. My faith in God was waning. HG really started to bring forth irrationality. Starvation, dehydration, and malnutrition take a toll on your body and mind. I couldn’t think clearly because the nausea was so over-powering and it felt like I was dying. And every day, I wanted to die, to end it all. It’s funny…I was terrified of dying but I also readily welcomed death to escape the nausea/vomiting. But every morning I would wake up…still alive and still having to face the nagging nausea! By mid-July, all of my veins had collapsed due to the multiple IV pokes and the nurse could no longer start an IV for me. She recommended that I get a PICC line to continue with the IV treatment. My mom encouraged me to try and see how I would do without the IV fluids since my nausea was somewhat better and I was able to eat a little bit more than before. The PICC line is more susceptible to infection so I decided to heed my mom’s advice and tried going without the PICC. I still had not gained my weight back but I was vomiting less. I was making very slow progress but it was progress nevertheless. July 13th was Annelise’s first birthday. I thought that I would be much better by her birthday…but July came and I still felt miserable. I thought that by the beginning of August, I would feel better…August came and I still battled perpetual nausea and vomiting. I don’t know how many times I broke down and sobbed bitterly because it felt absolutely hopeless. This is when I realized that the HG monster was much, much stronger this time and would battle me to the very end of my pregnancy. I no longer became surprised when I didn’t feel better the next week and the next and the next. HG destroys your digestive system. Starvation and continuous vomiting really annihilate your body. It took me a long time to be able to eat again. It was like my body forgot how to eat and digest food. Every time I ate anything, my stomach would churn and spasm in pain. It was a struggle to force myself to eat when my body seemed to be rejecting food with every bite. I ate very small amounts and drank a lot of Jamba Juice smoothies. Eventually, I was able to eat without pain or major indigestion. By mid-August, I was feeling somewhat normal. I didn’t feel good but I felt better. At least better than when I was on IV treatment. I started to go out again…but very carefully and always with a Ziploc bag in case I threw up in public. I started going out to restaurants and I started going to church again. I limited going out though because anything could trigger the nausea. The smell of public restrooms really got to me. The summer heat was so oppressive and would make the nausea worse so I tried to stay indoors with the AC on as much as possible. I moved back to our place in Culver City and started to take care of Annelise on my own. My parents would come over a couple times a week to help though. And if the nausea got really bad, I would call my parents. Taking care of an active toddler when you have HG is a challenge. Every morning, I would wake up to the sounds of Annelise babbling or crying in her crib. It would take every bit of willpower to fight the nausea and get up from bed, go to her crib, change her diaper, and feed her breakfast to start the day. I slowly gained my weight back. Over time, the vomiting reduced but stubbornly persisted well into my third trimester! I would still throw up once every week or two. The nausea was very erratic. One day I would feel okay enough to go out. Then the next day, the nausea would hit me hard and I would have to stay in bed all day. The unpredictability of the nausea/vomiting really drove me crazy. It was impossible to make plans with anyone because I never knew how I would feel that day. By 30 weeks, the vomiting significantly reduced but I still had nausea 24/7. The lingering nausea was so vexing but my countdown to the delivery date began! Then the morning of Thanksgiving, I threw up my breakfast. I was amazed that I was still barfing at 33 weeks! This is when I realized that I had a relapse in my third trimester – the nausea was worse than before and I threw up more than usual. I am now back to throwing up once a week and the nausea has been crippling. My sense of smell is again very heightened and it’s hard for me to smell anything without getting sick. It’s been a challenge to get things ready for the baby when I still feel so nauseous. After vomiting this past week, I lost six pounds recently which alarmed me. But the past couple days have been better and I haven’t lost any more weight. I’m hoping the vomiting will calm down till I deliver. Without a doubt, HG has been the most difficult thing I’ve had to endure. It was harder than when my husband left for a 7 month deployment four months after we got married. It was even harder than when Danny left me to take care of 2 month old Annelise for a five-month training out of state last year. I am finally at 37 weeks and I can see the bright light at the end of this long, dark, and torturous tunnel I’ve been crawling through the past 8 months. I would not have made it to this point without the Lord’s grace, my husband’s faithfulness, my parents’ outpouring of love, my daughter’s laughter, many friends’ prayers, Babycenter’s online support group for hyperemesis sufferers, and the generous volunteers at Beyond Morning Sickness! I cannot wait to deliver! I’m excited to be rid of the nausea once and for all. I’m looking forward to being able to fully enjoy food without the sour/bitter taste of nausea in my mouth. Most of all, I’m so thrilled to finally meet my little girl Katelynn! Well, things have taken a turn for the worse this week. I’m 36 weeks now and I’m back to throwing up once or twice a week. I’m having a lot of trouble eating and digesting food again. I haven’t showered all week because of the nausea and lack of energy. My own body odor is starting to trigger nausea! I checked my weight today and was alarmed to see I lost 6 pounds in a matter of a couple weeks. I started to panic. I know how HG can spiral out of control very quickly. It feels like I’m back to battling HG in my first trimester…I’m anxious that if things keep going the way they are, I will end up dehydrated and will have to get IV fluids again. I called my OB and she put in a referral for home health care. She said it would take a few days for them to call me so if things continue to get worse, I can get the Zofran pump and home IV treatment again. But if I am doing okay, my OB said I could just cancel the order. At this rate, I may take up my OB’s offer to induce me at 39 weeks! Please keep me and baby in your thoughts and prayers. One of the most painful aspects of this HG pregnancy has been surrendering my daughter. It was an odd process…to let go of my little baby who had been so attached to me. For five months (when Danny was in Virginia for training) last year, it was just Annelise and her mama. And then all of a sudden, when I got so ill with hyperemesis, we were forced to separate. I was unwillingly pushed to surrender my precious Lisi. I had no choice. My body gave me no choice. I was bed ridden and on IV treatment for two months. I had absolutely no energy for anyone but myself. I was on survival mode. It took every ounce of energy just to breathe and live, manage the nausea, and get through each day. So I relinquished her…to my husband who took care of her after work and on the weekends. And to my parents who took care of her during the day while Danny was at work. My mother-in-law and sister-in-law have also been so wonderful with taking care of Annelise when they would visit us. On the one hand, I was so relieved to have them take care of her – I knew I didn’t need to worry about her and I could focus on getting better. On the other hand, I was heart-broken that she no longer looked to mama. She looked to grandma, grandpa, or daddy to feed her, change her diaper, play with her, and hold her tight. Some days, I couldn’t even look at her…I was just too exhausted to even acknowledge her presence. So that’s how two, long months passed, with our paths barely crossing. My parents and my husband became responsible for taking care of Annelise as well as me. They were overwhelmed with the dual responsibilities. I had to grieve and mourn the loss of our relationship. HG killed our mother/daughter relationship. But the wonderfully amazing thing is how resilient Annelise has been throughout this agonizing ordeal. She adapted quite quickly to her new care-takers. And once I started getting better, when I could start eating again and had more energy, we began the process of rebuilding our relationship. I started to play with her and sing to her. I taught her “Twinkle, Twinkle Little Star.” In fact, “twinkle” was her first sign. She loved that darn song. She would always sign “twinkle” for me to sing to her. It’s been an excruciating journey to say the least. There are still days I feel as if I’m a half-hearted mommy to a very active toddler. Half-hearted because I’m still nauseous 24/7. I have battled feelings of guilt because I couldn’t be there for her when I was really sick. It’s heart-rending that I cannot fully be there for her even now. I find myself emotionally disconnected from her especially on my bad days. But I guess it’s something that an HG mama has to battle. I’m letting go of Annelise in order to survive and in order to save her baby sister. I’m 34 weeks and the HG monster seems to be rearing its grotesque head with a vengeance. This week my nausea has been so much worse. It feels like I’m on the verge of throwing up all the time. My sense of smell is ultra-heightened again. Everything smells disgusting and nothing tastes good. I’m having a hard time eating due to the nausea. I’m sticking to bland food items. I’m back to being in bed half the time to manage the nausea. I was really hoping to get a bunch of things done before the baby comes but now I’m not sure I’ll even have energy to get things done. I know I’m getting closer to the due date but it still feels like an eternity! In the middle of the storm…hoping to come out cleaner & brighter in the end. The only thing foreseeable about my HG now is its unpredictability! One day, I’ll feel fine and my nausea will be at a manageable level. I’m able to take care of my daughter and even go out for a little bit. Then the next day, the nausea will kick into high gear and I’ll be rendered helpless. On my bad days, I end up staying in bed most of the day because the nausea’s so bad. I won’t be able to take care of Lisi and going out is definitely out of the question. It’s impractical to make plans with people because I honestly don’t know how my nausea will be that day. So I end up staying home most of the time just to be safe. It’s a lonely place to be. And the lack of control that I have over my own body is a really scary thing to live with. Because of this unpredictability, I had a lot of fears, aversions, and phobias earlier on in my pregnancy. I had many food aversions. I would avoid particular foods because of the fear that I would throw up the same food item again. For some reason (maybe because I’m not a huge fan of Korean food to begin with), I had a lot of aversions toward Korean soups that I had previously thrown up. I had a major phobia about going out because I didn’t want to throw up in public. I made sure to carry a large Ziploc bag in my purse at all times, just in case. During the summer, the heat was so oppressive and would make the nausea worse. I had a lot of anxiety about going out to places with no A/C and feared that I would pass out in public. I also worried about driving by myself because I was afraid I would throw up while driving and cause an accident. Another major fear was showering. The combination of the heat from the water and the motion of washing myself was enough to trigger major nausea. 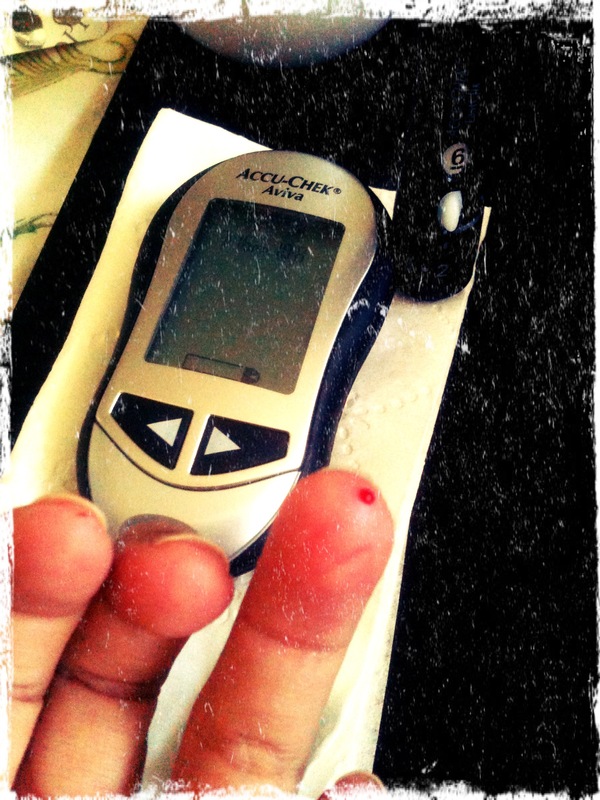 I also had a major phobia of the 2nd trimester blood glucose test. To test for gestational diabetes, you need to drink 50 grams of glucose concentrated in this thick, orange syrupy drink and then get your blood drawn. I distinctly remember throwing up the orange drink with my first pregnancy so this time around I refused to drink it. The doctor allowed me to do an alternative which was to eat 23 large jellybeans. I ended up getting carsick after eating such a large amount of candy in one sitting but I was able to hold it down. Because I didn’t pass my first glucose test, I needed to do a second glucose test. Again I refused to do the syrupy drink. So instead I had to test myself via a glucose meter at home. The doctor ordered me to prick myself four times a day and to measure my blood sugar level with the meter. I had to do this for a week. Thankfully, I passed the test and do not have gestational diabetes!